This is a neat and helpful post about how to make compost fast. The success of an organic garden is highly dependent on the quality of the soil. Good compost goes a long way to improving soil quality. This post goes through 5 steps for making compost in around 30 days. This step explains the source of carbon-rich ingredients and nitrogen-rich ingredients. It also discusses the best mix of the two. This step explains an optimal size for a compost pile. This step explains when to add water and how much to add. 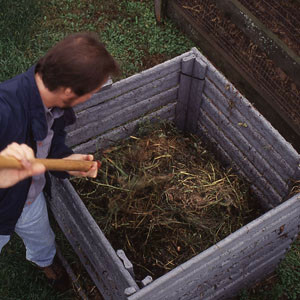 This step explains some ways to get the air flowing in your compost pile. Click the 5 Easy Steps to Making Compost Fast link below to read the full article.